Loading Artist » New Emote! 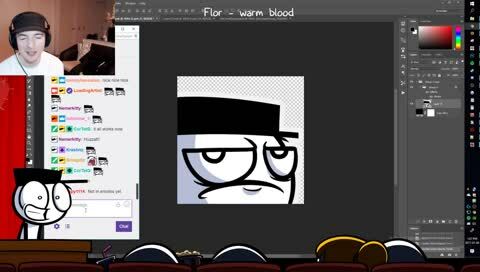 On Twitch the more subscribers a channel has, the more emotes that channel can have. With your support we now have 7 emotes to spam with! Thank you!! As a token of my appreciation, I’ve made our next emote an outlet for you when I make those excellent jokes and puns. Presenting the newest Loading Artist twitch emote… loadUgh ! The next stream tomorrow will be a work/chill stream. Not sure what we’ll be working on just yet. Maybe another emote! Maybe a new stream overlay animation! Maybe none of the above! If you wanna know when I’ll be LIVE in your timezone, check out this handy calendar!